I told you ladies that my obsession with maxi dresses is now official. Don't believe it??? - see this one and wait for another one coming next week. 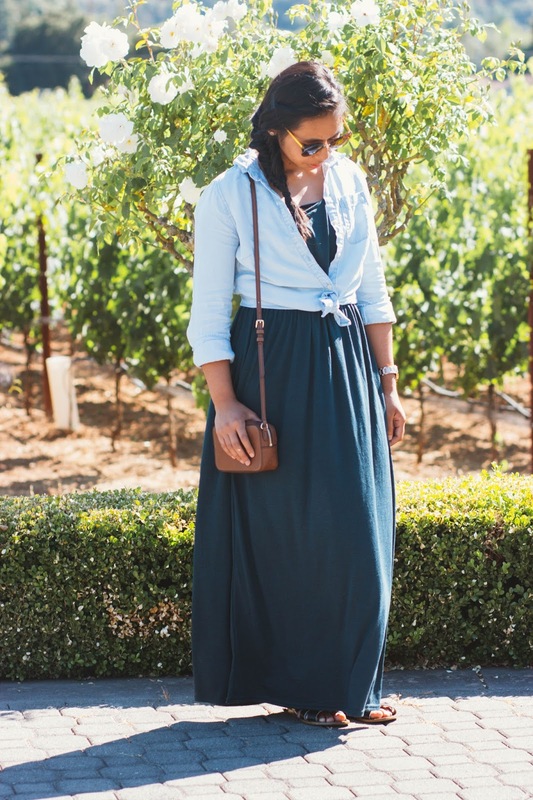 I bought this maxi dress last year from NYC and was waiting for the right chance and right bra-to-compliment to wear it. I confess- 'I am guilty of not being sartorially equipped for open and deep back dresses like this, partially because I was intimidated of not being able to find one for my body and totally because I was clumsy. But thanks to youtube: this tutorial and a few hours later, my closet is now a proud owner of a DIY backless bra. I was skeptical this hack would work: but not only did it surprise me with the ease of making it but also with it's comfort and no-slipping. What are your bra-hacks for wearing these summer dresses ??? 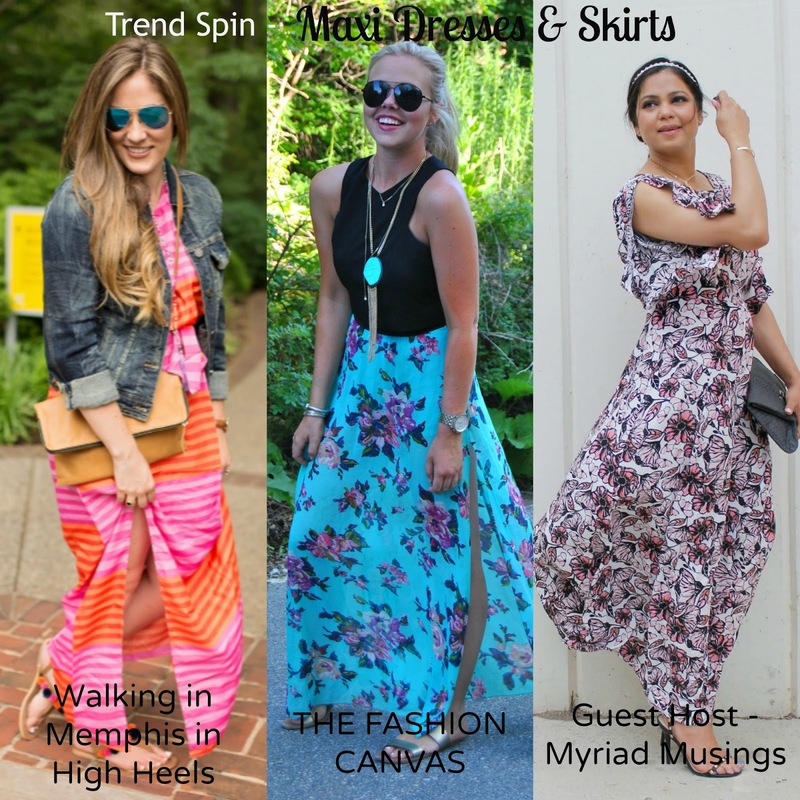 I am thankful to Laura of Walking in Memphis in High Heels and Erin of The Fashion Canvas for giving me a chance to cohost their weekly linkup party. It was a seamless experience working with the duo. Congratulations to Blaze Ann of Proverbs 31 Beauty, she is the featured blogger of the week. Now it's your turn to show your summer styles.